سواءً كنت مسافراً بغرض السياحة أو العمل, فندق إسبلانادي فريمانتلي باي ريدجيز هو خيار عظيم للإقامة خلال زيارتك برث. يجذب هذا الفندق ذو 4.5 نجوم، والذي يبعد 20 km فقط عن وسط المدينة و 30 km عن المطار، الكثير من الزوار سنوياً. يضفي محيط الفندق اللطيف وقربه من Luna on SX Cinema, Shipwreck Galleries, مستشفى فريمنتال سحراً خاصاً على هذا الفندق. كما يقدم فندق إسبلانادي فريمانتلي باي ريدجيز الكثير من الخدمات لإغناء رحلتك في برث. يمكن للنزلاء الاستمتاع بالميزات التالية: خدمة الغرف على مدار الساعة, واي فاي مجاني في جميع الغرف, خدمة التنظيف يوميًا, خدمة غسيل ذاتية, خدمات بريدية أثناء إقامتهم في هذا المكان الرائع. تتضمن كل غرف النزلاء وسائل الراحة والتسلية المصممة خصيصاً لضمان الراحة القصوى للضيوف. إن حوض استحمام ساخن, مركز للياقة البدنية, ساونا, مسار جولف - ضمن 3 كم, حمام سباحة خارجي هو المكان الأمثل في الفندق للاسترخاء وتفريغ طاقتك بعد نهار طويل. يشكل فندق إسبلانادي فريمانتلي باي ريدجيز بخدماته الراقية وموقعه الممتاز، قاعدة مثالية للاستمتاع بإقامتك في برث. Clean, tidy, great location. Poolside was wonderful as where the staff. It’s great place to stay, lovely location, breakfast was to die for in the Atrium. Late checkout was no problem for the staff, just a short stroll into the heart of freo or down to the fishing boat harbour. The location is just nearby the entertainment and food area, walking distance to the best fish and chips in town! Room is very clean with lots of amenities (need to pay). Overall, it was a good stay. It may look like an old pub but this is a modern beautifully appointed hotel. The buffet breakfast was excellent. Short walk to the famous cafes and restaurants of Fremantle. The free city circuit bus stops right outside. Less than a kilometer to the ferry to Rottnest Island. Love this place! We loved staying here, close to everything and we were welcomed with champagne. We will be back. Lovely stay. Staff are friendly and helpful. Check in was quick and easy. Room is clean and spacious for two. 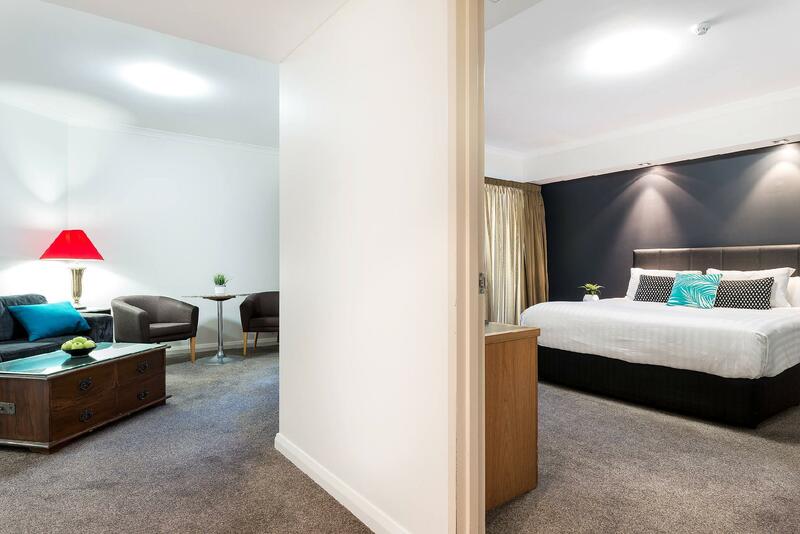 Good location where easily access to Fremantle Prison, Fremantle market, esplanade park and eatery places. Would recommend this hotel for business or leisure. Its an excellent conversion of a historic property and facilities are fine and consistent with what you would expect for the price. Only gripes were you had to pay for on street parking (or pay for the hotel's valet parking) and that water pressure wasn't great. In a room with a spa bath, waiting for the bath to fill took ages. 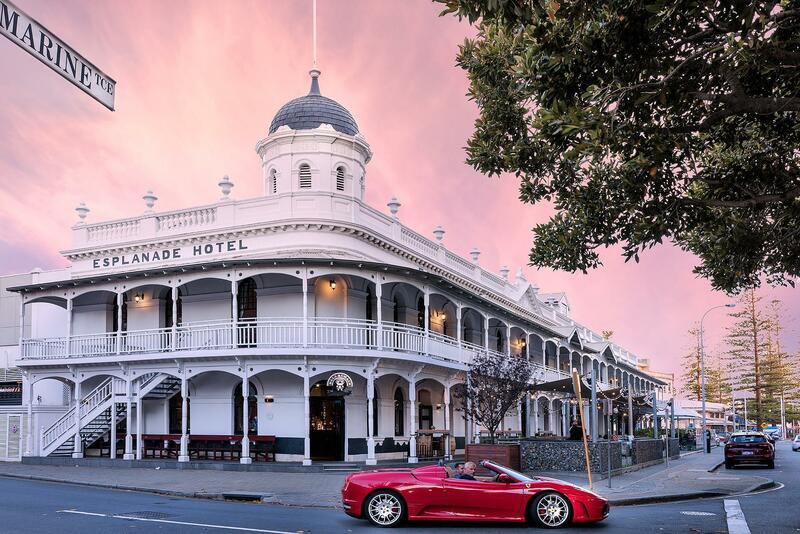 The location of the hotel is good as a base to explore Fremantle town. 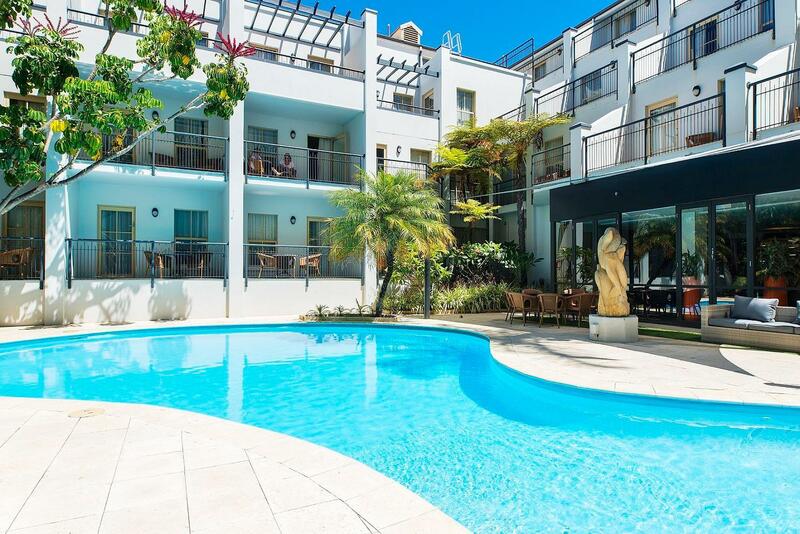 It is within walking distance to the Esplanade with eateries (good fish and chip) and the Fremantle market. There is a bus stop in front of the hotel with free Blue Cat bus that goes to different parts of Fremantle. Room is clean and staff is friendly and helpful. Spent 6 days here in a work trip. The location was great and an easy 600m or so walk to the train, with plenty of cafes and restaurants close by. Staff were wonderful and i was given an upgrade to a refurbished room which they apologized did not have a view. I didn't book a view room so was not bothered. I think the only re furb however was the new carpet which meant the door was not easy to open or pull closed. the room also had a spa but only half the jets worked. Breakfast was more miss than hit on the weekend. the omelette left pools of raw egg on the plate while the next days soft poached eggs were far from soft. The buffet restaurant was closed on the tuesday night and when i did eat there food was ok. $60 for a portable bed for one night was a bit rich i thought. I really appreciated staying in a freshly renovated room that was very nicely and comfortably furnished. The staff is very nice as well and I even got a free welcome drink. Loved my stay here and look forward to coming back. Everything appears snobby and upperclass until you enter the room. Takes you back to the 80's. Run down no mod cons. Fridge full of overpriced items. No foxtel. Unable to smoke on veranda. Bed not comfortable. It's run like a business, no personal touch. Thank you for perfectly encompassing the Fremantle ethos and experience of acceptance and genuine hospitality! First checked into hotel to found out that dustbin has a few cigg butts with a glass bottle. Room totally has no sound proof. Overall stay were alright but definitely not 4.5 stars. Staff were friendly and helpful, especially the asian lady tending the cashier for breakfast! A very reasonable rate from Agoda. Plenty of cafes to around to eat. Walking distance to everything. Beautiful park straight across the road. Bathers Beach close by. Fishing Boat harbour and restaurants a short walk away. Railway station and ferries to Rottnest Island nearby - I walked to both. Hotel has a wonderful pool area. Food and drinks reasonably priced. I'd definitely stay here again. very impressed by the quality of service here. thank you for the great hospitality! 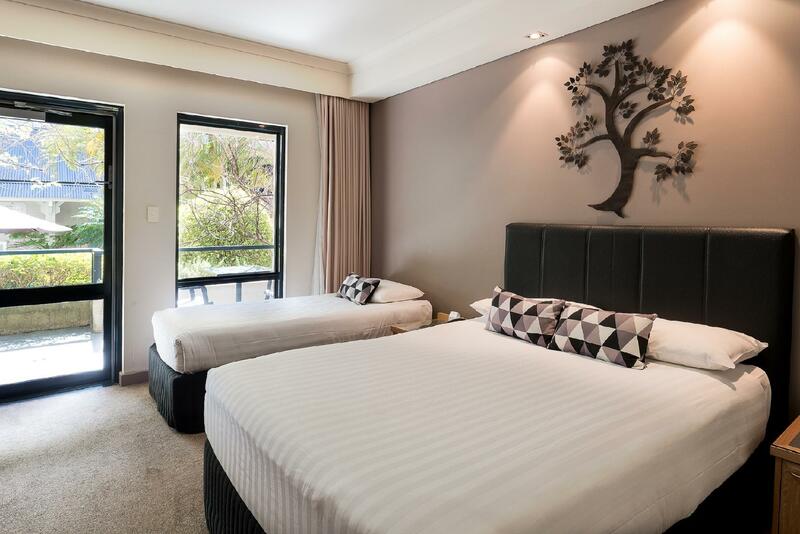 room was very nice and new and location excellent too. if free parking can be arranged will be ideal. pool abit small. otherwise, must stay here!